New here, and definitely not an expert - need your input on Air fibre, unfortunately no FTTH available in my area. Is Air Fibre = LTE? What must I look out for and what are the questions I should ask? What is "Air fibre" anyway? There is no such thing if you ask me, its a fancy marketing term. Your last mile is either copper, LTE, Fibre, WiFi (No, this isn't air fibre) or any other wireless technology, air fibre doesn't exist however. Now, I know a WISP will respond and defend their marketing, but realistically if you don't have a strand of fibre running into your house it simply isn't fibre, doesn't matter if the high site has fibre, it isn't fibre if the CPE connects via wireless. Add to your list WiMAX, Microwave, FSO. 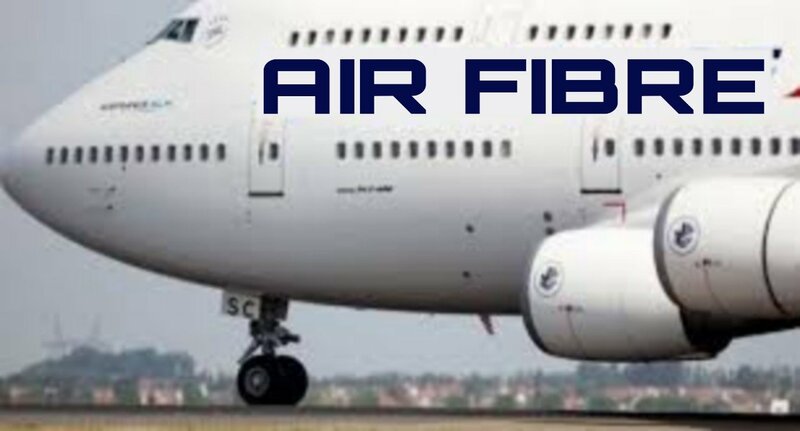 Air Fibre is a marketing thing not a technical thing. So other than the name being an issue, what questions do I need to ask? There is no FTTH network in my area and options are limited - what do you suggest? There is no FTTH network in my area and options are limited - what do you suggest? Is good old fashioned ADSL/VDSL not an option? You could alwyas consider, Telkom, Cell C or RAIN LTE and then a WISP maybe. The Wifi and Wisp category is maybe a good place to look for a reliable one. No. Air fibre is a marketing term for wireless internet. An ISP typically has powerful dishes on a hill where you can connect to with a dish on your house. Its way more reliable than lte and offers uncapped packages. Air Fiber is a Ubiquiti product and it's awesome! Ask for a business solution. Then you will/should get wireless on a licensed spectrum with a business SLA. This a different solution than just wireless on the closest or most visible highsite. I came here expecting to see a discussion on those awesome antennas. Have yet to get a chance to play with them, they look potent! 4. If signing a fixed term contract, make sure there is a way to get out of it if the service isn't up to scratch. I don't mean to sound negative, but all the experiences I have had with WISP's have been bad. It's almost impossible to give a decent service to someone over unlicensed spectrum, which is where most of these guys operate. As many have pointed out above, Air Fibre is nothing more than a (misleading) marketing term. There is no such thing, and dont let any of these companies tell you otherwise. Corlius, you ask two questions. a. What Air Fibre is. As Thor stated, it is a product. Wifi is terrible unless a motivated person manage it. Unless this is you, frustration, expect loss of hair or teeth. b. You ask, in the absence of Fibre what persons suggest. See if you can get VDSL. In South Africa you can get 40/10 Mbs depending on distance to exchange. Give the approximate address so users can make accurate suggestions.